Glass doors are elegant and allow in a lot of natural light. It is for these reasons and others why these doors are popularly used in offices and homes. If you are among the people who have a glass door in your home or would like to have one installed, you need to get the right partner to take care of the door so it serves you for a long time. We offer glass door locks installation, repair and replacement. We will handle anything that has to do with the locks of your glass door. Whether it is a sliding glass door or one that has hinges, we will install high quality locks that will help secure the premise. Call us and we will install residential glass door locks. You get to choose the type of lock to be installed. This can be the deadbolt or magnetic locks. Whichever it is that you would like to use you just have to let us know and we will fix it. Even if it is commercial glass door locks you would like worked, we will do the job perfectly. Other than installing locks, we can do rekeying for you. 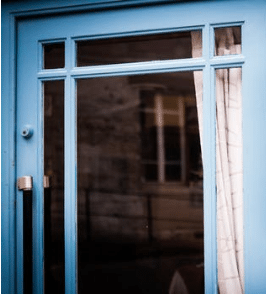 When should you consider rekeying your glass door locks? This can be when you move to a new house, when you lose keys and think they could be in the wrong hands and after a break-in. Even if you prefer to change the entire glass door lock, you can talk to us and we will take care of it. When you lose your key or it breaks in the lock talk to us and we will have the door opened in minutes and a new set of keys in your hands. When you want to make new sets of keys for family members, bring a single copy of each key and we will make copies for you. We assure you that these spare keys will open the glass doors without any problem. Why choose Auto Key Masters (AKM) over all the other locksmiths in Charlotte? We have been serving the people in this area for several years now and have made a good name for ourselves. Do not just take our word for it. Look through our testimonials and you will see that we live up to our word. We haveserved many satisfied clients and will be honored to add you to our client list. All the people who will be sent to work on your glass door locks from AKM are professionals and friendly. They will take care of any issue you have within a short while. They have the expertise of working with glass doors which are delicate and brittle. What is more? Our services are available around the clock which mean you can rely on us in emergency situations. Save our number today, AKM Auto Key Masters – 704-458-4784.